Building owners invest significant resources in environmental and building control systems—for most, that means one-third of the operations budget, almost as much they spend on energy. The question is, where and why is this money spent—and can the amount be reduced while maintaining or improving building performance? The first step in finding the answer is to understand the different maintenance approaches. Reactive maintenance: The practice of fixing equipment when it breaks down or deteriorates to an unacceptable point. This is more of a repair approach than a maintenance program, which creates a “fighting fires” situation. Preventive maintenance: Regular maintenance of equipment according to a predetermined schedule based on equipment characteristics and capabilities. This is a proactive approach, but it lacks prioritization: Following a checklist doesn’t ensure facility personnel can attend to the most critical tasks first. Predictive maintenance: The practice of monitoring and evaluating equipment and system condition in order to prioritize and perform maintenance tasks and repairs at the optimum time. A predictive maintenance program can extend a building’s lifetime by several years. It can also increase equipment safety, boost occupant comfort and productivity, and improve compliance with efficiency requirements. 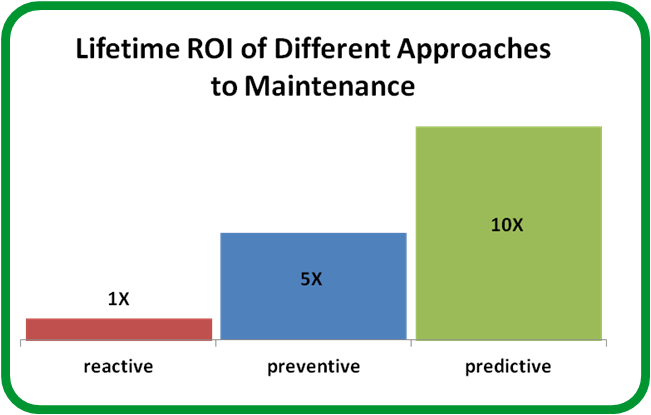 Although setting up a predictive maintenance program will entail some initial expense, it’s the most effective approach over the long term. 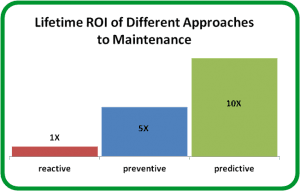 Combining a predictive maintenance strategy with advanced analytics capabilities makes it possible to create a “smart service plan.” Such a plan enables facility personnel to monitor and control equipment in ways that can reduce energy use and operating costs. 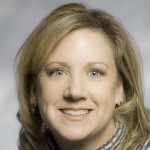 One more point to consider: With the exception of larger organizations that have extensive resources, most facilities find it challenging to find, hire, and train people to manage service and maintenance plans. Depending on the scope of operation, most facilities will find it less costly to hire a third-party vendor that already has the expertise on-board and can leverage its best-practice experience. What’s the bottom line? Building owners can reduce maintenance and energy costs by up to 20% with a smart service plan comprising predictive maintenance and analytics capabilities. You’ll find further information about the nuances of the common maintenance approaches in the new white paper, “Predictive Maintenance Strategy for Building Operations: A Better Approach.” We’ve also provided guidelines for what to expect as you research and select a service provider that’s right for your organization. What kind of reactive, preventive or predictive maintenance decisions have you made recently? Share your responses in the comments below. You’re right, predictive maintenance is the best solution. Especially because we have today all the technologies to do that. Smart equipment can manage all energy functions in a building, but can also manage itself. So, if an equipment is down, it can send an alert on a BMC, by mail or text message.